The (audio) programme was in short a very pleasant surprise – highly practical, manageable and convenient for a millennial as I. I went in with no expectations at all, took the liberty of extending the programme way beyond the 40 days just to complete it at my own pace, and emerged enriched and blessed with the many truths God revealed through His word. I might add that this would also be the first time completing the New Testament despite being a believer for over a decade. A refreshing way to study God’s Word! Reading through the bible was my 2014 new year resolution, but after one year, I found myself just completing the four gospels… so I was really glad when the church embarked on this WISE program as I managed to complete listening through the whole NT within 2 months! Unlike reading, I’m able to listen to the bible while driving and walking, thus maximising the pockets of time to achieve my goal. Interestingly, I picked up certain messages while listening that I didn’t when reading the same passage. I enjoyed it so much that I have proceeded to listen to the Old Testament and looks like I’m on my way to complete going through the bible this year! Highly encourage everyone to go through this program as it’s a refreshing way to study God’s Word! Here it is- What a great way to encourage spiritual discipline through this 40 days listening through the New Testament. Must confess that I took more than 40 days though! Listening with reading helps me to have better concentration on the Bible passages too! It gives a whole new dimension to the usual process of reading silently. Our Spiritual Director ‘shared amazing insights on the relevant contents of the Word in relation to the Lands’ we visited. Patiently and tirelessly, he would explain and expound on the Word. He led us in soulful devotions and worship to the God Almighty in His Holy Land. It helped me to have a really good perspective of the Bible after the trip. It made me hunger more to read His Word. You read the Bible in black and white. Now, you read it with colours! I was blessed with gifted Spiritual Directors who taught me valuable insights and Scriptural significance relating to the biblical sites. Israel Holy Land Tour 2012 had been a most meaningful experience. We made the long-awaited trip with a dual-purpose: to see first-hand the historical sites and landmarks that archaeological discoveries and restoration works have reclaimed of Israel’s biblical past; and to relive the period and places that had witnessed the birth, miracles, crucifixion and resurrection of our Lord Jesus Christ. This trip has more than satisfied our quest! Though I have been reading the Scripture for years, this visit to the Holy Land has made my reading more complete as I walked through the land. I humbly encourage those who are called or are hesitant, to prayerfully consider making a trip to Israel, the Holy Land, and experience the footsteps that Jesus, the Son of God has walked. The tour was very good. Our Spiritual Director, Ps Marc, was a superb tour guide! He could relate the context of the places to Christian history and the Bible very well. We learnt a lot from him. For pastors or ministers who preach the Word, we must, at least once, visit this land that God revealed Himself in! It was refreshing to witness ministers having so much fun amongst themselves! The itinerary was full, covering many of the seven churches in the Book of Revelation (Ephesus, Sardis, Philadelphia, Smyrna, Thyatira, Laodicea), and cities along Paul’s missionary route (Philippi and Corinth). The group was treated to a visit to the Bible Society in Turkey, which left them inspired by the work that was being done there. I’ve been on many mission trips, but this is the first time I’ve put the Bible into somebody’s hands. You know they’ve been waiting for it and will treasure it. I witnessed the hunger and need for the printed Word of God in Vietnam. At each delivery point, we saw how the brothers and sisters treasured the Bibles. Some pastors had travelled hundreds of kilometres—most of them on their motorcycles—just to collect 50 to 100 Bibles for their congregation. Their zeal for God, and love for their flock makes me reflect, firstly, how we often take the availability of Bibles in Singapore for granted; and secondly, how little we treasure His Word in our hearts. I am grateful for the opportunity to join God in His work through Bible distribution. This trip will have a long lasting impact on my life. I saw how God’s love for His people in Vietnam has transformed the lives of numerous believers and pre-believers. I also saw the heart of our God manifested in the numerous Christian leaders, and how they zealously bring God’s goodness to the people in Vietnam. There is still much work to be done in order to reach all the ethnic groups in the country. Let us continue to pray for God’s Word to spread far and deep into the ends of the country! It allowed us to fellowship on spiritual matters. This made the Word of God come alive in our family. It was quite an eye-opener to see joy on the faces of the recipients when they held their first Bible! [Max7 exposed] me to new ideas of teaching children & gave me an opportunity to make new friends in the same ministry. It has re-energised me, and helped me think of how I can be more effective in my interaction with children in church. The resources are very useful. I am more humbled to learn with so much new things and connect with so many others passionate about children ministry. 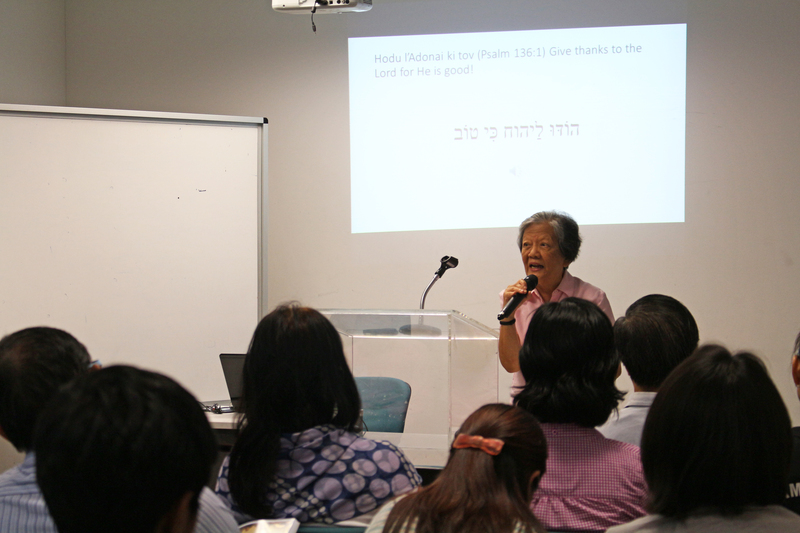 God’s Word is so precious, and learning about it at the BSP is low cost and so beneficial. 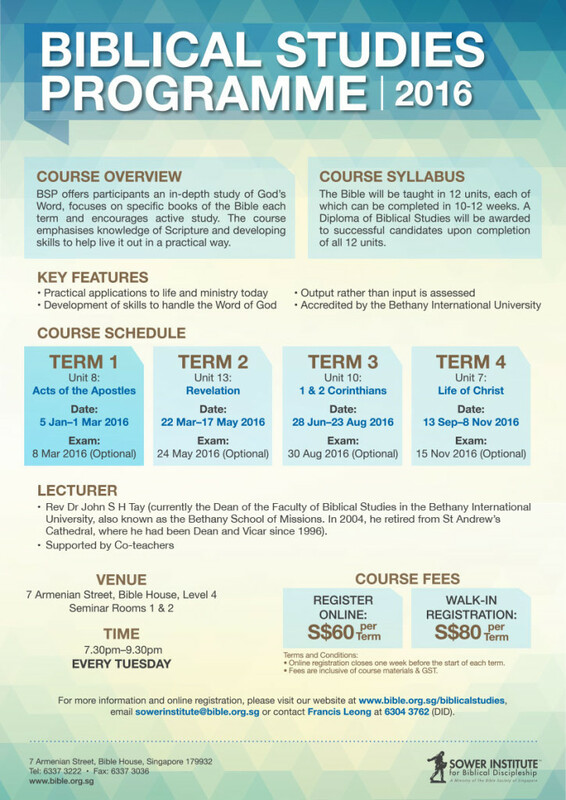 Biblical Studies Programme is a useful instrument for my spiritual growth and doing ministry. I have learned how to apply the Word of God in my life. 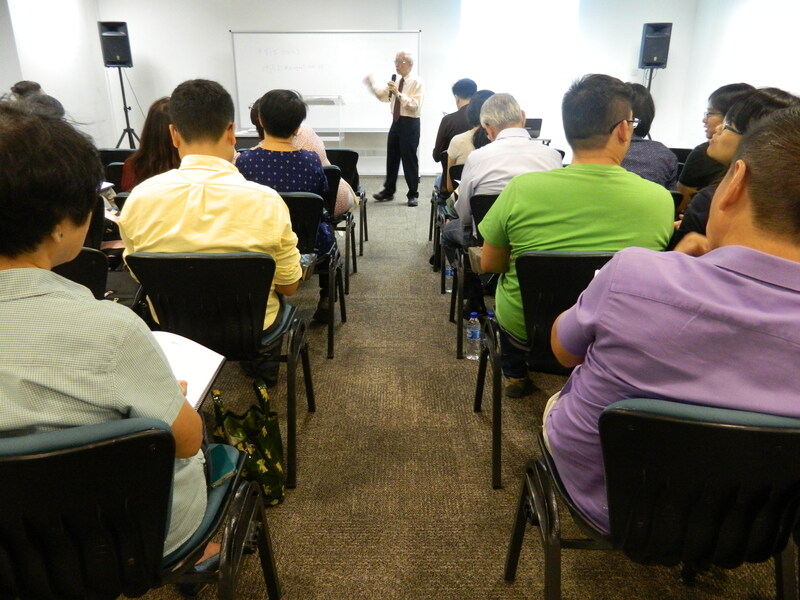 We have been blessed richly by Rev Tay and his team thru this course! Praise God! It’s my 3rd year in BSP already. I started in Dec 2013 as I was just curious about the programme. But then, I was hooked on every session and so I continued attending BSP till now. What I love about the programme is that we are not spoon-fed by Dr John. He encourages us to self-study of the Bible and do our weekly ‘homework’. During the class, he teaches practical applications of the scripture for our day-to-day living. The class is very interactive as everyone can share their thoughts and opinions as well. BSP has equipped me to apply Biblical knowledge and principles in my daily life. 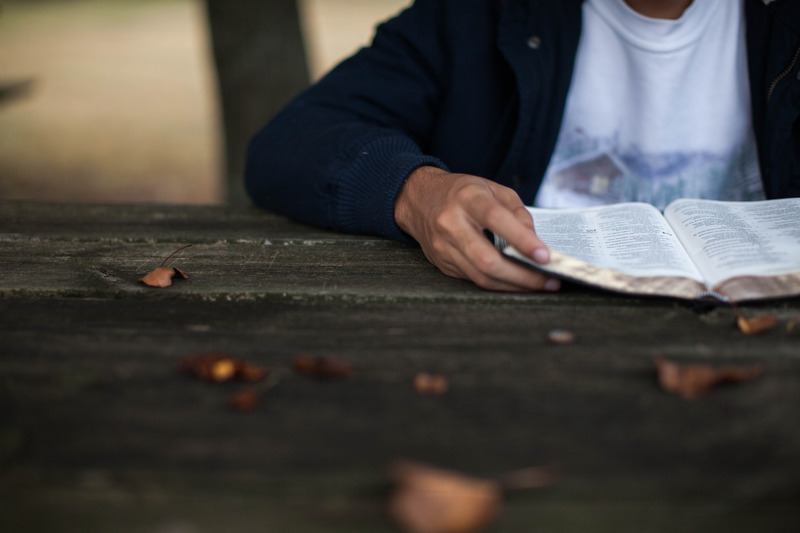 The course goes beyond just reading the bible; it enables you to understand the context of what you have read. Hence, the greatest reward I have is not head knowledge but to build up a solid biblical foundation in my own life, and continually to do so. Rev Dr John Tay is also a great 'encourager'. He wants the participants to truly dwell on the words of the Bible. The process is both edifying and refreshing. After attending this course, it helps to align my desire to work or start a business in a godly way & with a godly purpose. This is a good foundational course to go to even before you decide what business to go into... let our minds be set on Jesus before we attempt to plan further. [I've] benefited from [the] solid foundation laid by this course. The Intro to Hebrew course is very interesting. 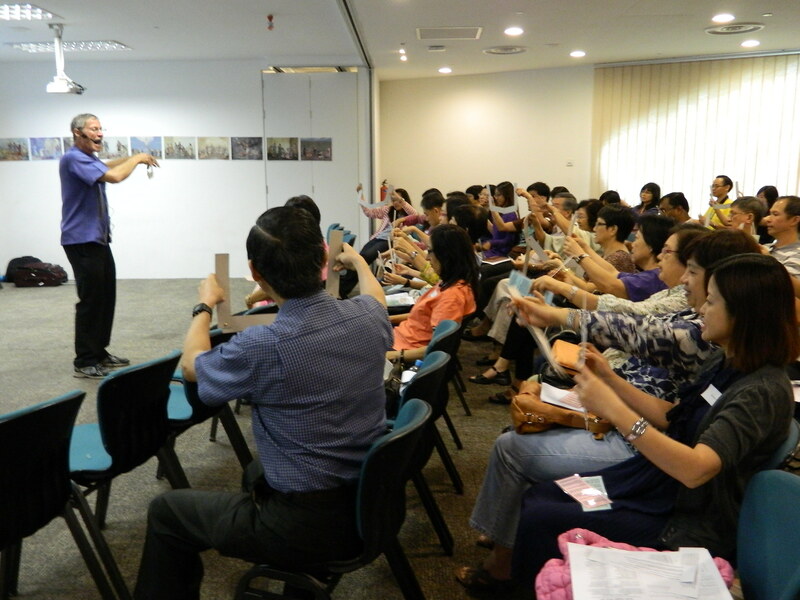 Dr Mary engages with the students through songs, jokes, and dialogues, which makes the class very lively. After attending the course, I feel like I can understand the Bible a little bit more. By listening to the Audio Bible, I recall the verses that I had read before. It gives me courage and strength, and I would like to read more and grow. It also encourages me to learn more about God’s promises in His Word. The Word helps me to overcome problems. Now I am learning to humble myself and am willing to share God’s Word with others. I would like to learn more stories, the way you teach me, because (it) is easy and very powerful. We are meeting with much success in telling and re-telling the story! Everyday we have been sharing one of our stories. For some reason (God knows) I keep using the Wheat Farmer parable. Maybe God wants me to do more planning with whatever I have to leave behind, or maybe this is what God wants our listeners to hear. Whatever, we are meeting with much success in telling and re-telling the story!…My wife and I are practicing with each other everyday and want to use more of the other parables in our outreach and eventually increase our story arsenal. It’s working well, and many thanks for your work and time to bring our attention to this very successful method of reaching others for Christ!! I taught the story telling method to many youth and some pastors. I love your method. 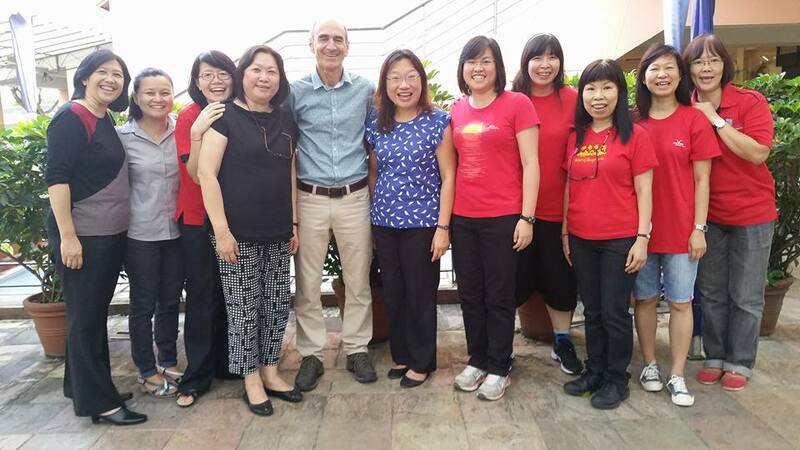 I have been benefited greatly from the training last year. It developed a heart in me to share the gospel with others. Now I can share much more easily. All my Christian life I’ve watched the Christian professionals share the gospel and exhort us from the pulpit to do the same. I’m now in my 80s and for the first time I have been given a method that I can use to evangelise anyone. Thank you for coming. Communicate the truth in an very effective way! I love story telling and it is really effective. Most of my international ladies have very limited English so the story telling method allows me to use a short story but communicate the truth in an very effective way. I have three put their trust in Christ this last two months. Praise God! The more stories the better. The day of the trip came. When i reached Istanbul airport, I felt a surge of energy gushing throughout my veins. When I stepped foot into Tel Aviv, my body felt hot and I felt this indescribable power in me. When I was at the Church of Transfiguration, i felt the Holy Spirit came into me like a hot flush and found myself weeping while I was praying. Being in the Holy Land was different from reading the bible. The feeling was indescribable. It was also the first time after many years that my daughter Natasha and me are travelling together. We were like the best of friends and had a wonderful time together. This trip is God’s way of bonding us and a special gift to us spending Mother’s Day in the Holy Land. I want to thank God for giving me this present. After the trip, i felt very peaceful and look forward to going back to the Holy Land again. God may not necessarily answer our prayers in our time, but in His time! Will come for Train the Trainers - useful for prisons ministry that I am involved in.